The identity theft investigation usually involves the Federal Bureau of Investigation (FBI). The bureau has intensified its efforts in investigating the commission of the offense involving criminal organizations. Due to the wide scope by which the crime under 18 USC 1028 may be committed, other agencies like the Postal Inspection Service (PIS), Bureau of Immigration and Customs Enforcements, Social Security Administration and the Secret Service may also be involved in the investigation. The fraudulent identification documents and document making tools may also be ordered by the court for destruction for being illicit. 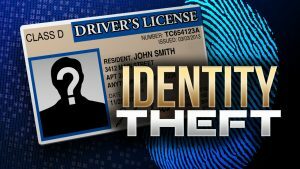 Long-term prison sentence can sometimes be avoided in white collar crimes, such as an identity theft pursuant to 18 USC 1028. Wall Street Prison Consultants specializes in helping federal and state offenders to obtain sentence reductions through programs that can help provide alternative solutions to long term incarceration. Our consultation services employ investigative and research processes to assist inmates and their lawyers in finding the best solution and alternatives available to reduce prison terms of an inmate. Discuss possible solutions to your issues today. Contact Wall Street Prison Consultants at 855-818-3500. We’re here to help!